I Can’t Believe It’s Not Lobster! One day while in the market I picked up some wild caught Monkfish, often referred to as “The poor man’s lobster” because the taste and texture are very similar to that of the popular shellfish. 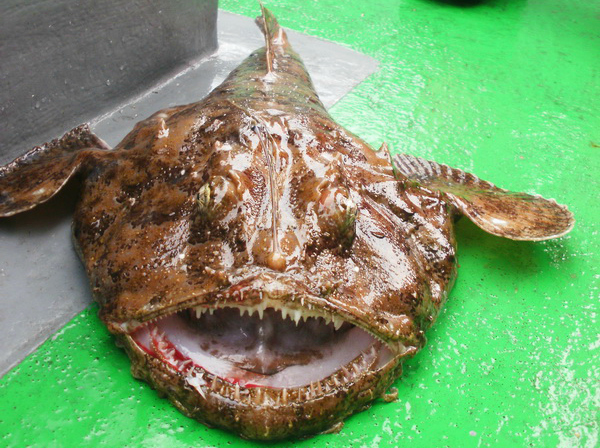 It is also referred to as Goosefish, Anglerfish, and Ankoh, but I just call it delicious! The warty brown skin of the Monkfish hides tasty fillets of white meat, and Monkfish liver is considered a delicacy in Japan and Europe and is often used in sushi. 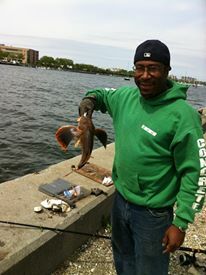 I live about 6 blocks from the Atlantic ocean in south Brooklyn, and I often catch another fish similar in appearance to Monkfish called “Sea Robin”. Now while I can’t compare these two fish in taste, they look almost identical to each other, except the Monkfish is bigger in size.They both have a hard plate for a head, and wide strong jaws. The only edible portions of the Monkfish are its muscular tail and its liver. 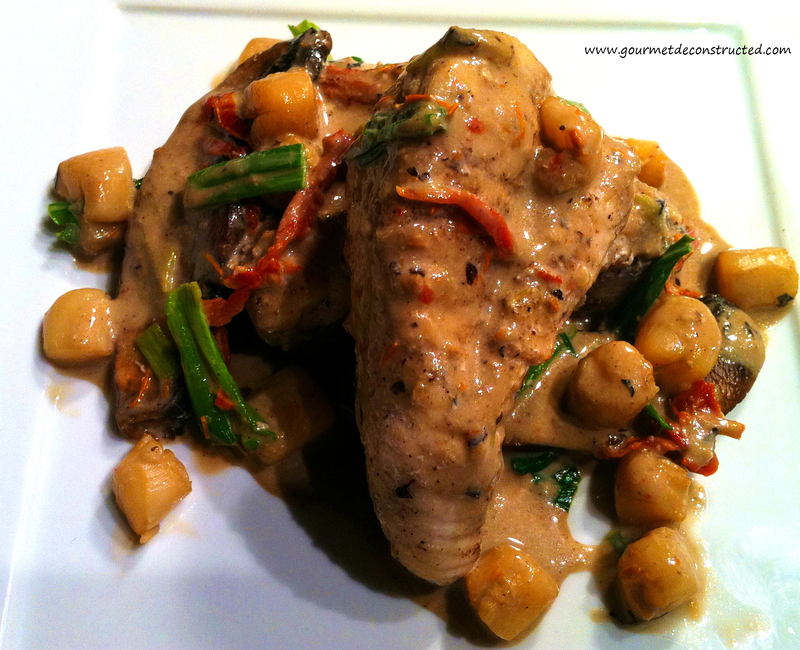 The tail meat of the Monkfish is delicious, dense, sweet, and very similar to lobster. This bottom-dwelling fish was at one time discarded the same way that Sea Robins are discarded when caught accidentally. As other fish populations declined due to overfishing, monkfish began to be marketed as gourmet fare, costing as much as lobster and sometimes even more! I wonder if eventually this will happen with Sea Robins? 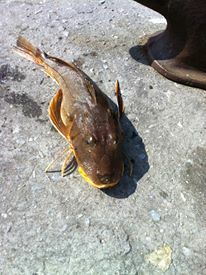 Local fisherman tell me all the time that Sea Robins are the new “Chicken of the Sea”. Some years ago when sea robins were plentiful in NYC. After tasting sea robin, I must say it is not bad, but it is not as tasty as monkfish. I have seen monkfish as high as $22 lb, but my local market had it on discount $14 lb so I decided to grab up a couple of filets. I also picked up some bay scallops, heavy cream, and portabello mushrooms for a rich sauce, and enjoyed a simply splendid dish. Since then, it has become one of my go-to dishes for clients and dinner parties for friends, I have also tried it multiple ways. So if I were you I would get to my local market and find some monkfish ASAP. Bon Appetit! 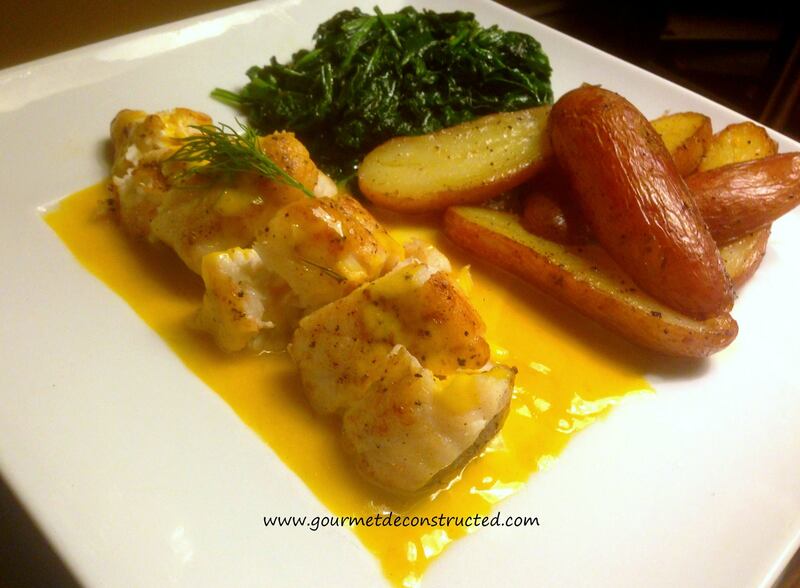 Pan-Roasted Monkfish w/Saffron Beurre Blanc, Klondike Rose Potatoes, and Sauteed Spinach. Posted on October 16, 2011, in Seafood. Bookmark the permalink. 4 Comments.